Da Vinci Code author Dan Brown‘s next project will be a novel about Dante Alighieri. I read about it at the star.com. A new Dan Brown novel is coming in May, and the subject is Dante. Doubleday announced Tuesday that Brown’s book is called Inferno, named for Dante’s epic journey in verse. Brown again will feature Harvard symbologist Robert Langdon, the protagonist for his blockbuster The Da Vinci Code and for the million-selling follow-up The Lost Symbol. The book might seem familiar in other ways, as Brown again takes on a masterpiece of Western civilization: The Da Vinci Code centred on an iconic painting, the Mona Lisa. Brown may also be returning to the religious controversies of The Da Vinci Code, when he infuriated some Catholics by suggesting that Jesus and Mary Magdalene had children. Dante himself was a Catholic who was critical of church leaders. Wonderful. I can’t wait for Brown to distort the history of Dante as he has Leonardo Da Vinci and early Christianity. I suppose it goes without saying that very little of this upcoming novel will be based on any facts about Dante’s life, though I am sure Dante will uncover the great conspiracy that the Catholic Church has been hiding for centuries. Its too bad really. 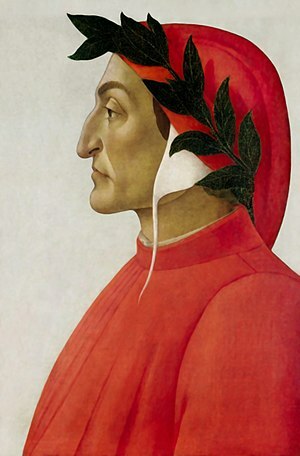 Dante lived an interesting life and I wish that someone other than Dan Brown would write a book about him.